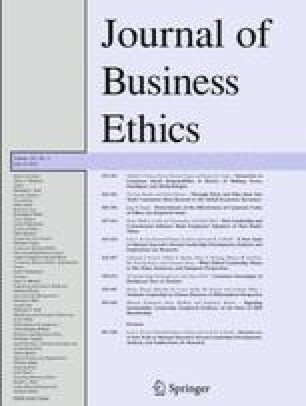 This article introduces a new scale to measure executive servant leadership, situating the need for this scale within the context of ethical leadership and its impacts on followers, organizations and the greater society. The literature on servant leadership is reviewed and servant leadership is compared to other concepts that share dimensions of ethical leadership (e.g., transformational, authentic, and spiritual leadership). Next, the Executive Servant Leadership Scale (ESLS) is introduced, and its contributions and limitations discussed. We conclude with an agenda for future research, describing ways the measure can be used to test hypotheses about organizational moral climate, ethical organizational culture, corporate responsibility, and institutional theory. Irving, J. A.: 2004, ‘Servant Leadership and the Effectiveness of Teams: Findings and Implications’, http://www.regent.edu/acad/sls/publications/conference_proceedings/servant_leadership_roundtable/2004/pdf/irving_servant_leadership.pdf. Retrieved 1/6/10. Irving, J. A. and G. J. Longbotham: 2006, ‘Team Effectiveness and Six Essential Servant Leadership Themes: A Regression Model Based on Items in the organizational Leadership Assessment,’ http://www.regent.edu/acad/sls/publications/conference_proceedings/servant_leadership_roundtable/2006/pdf/irving_longbotham.pdf. Retrieved 1/6/10. Parolini, J. L.: 2005, ‘Investigating the Relationships Among Emotional Intelligence, Servant Leadership Behaviors and Servant Leadership Culture’, http://www.regent.edu/acad/sls/publications/conference_proceedings/servant_leadership_roundtable/2005/pdf/parolini_invest.pdf. Retrieved 1/6/10. Wong, P. T. P. and D. Page: 2003, ‘Servant Leadership: An Opponent-Process Model and the Revised Servant Leadership Profile,’ http://www.regent.edu/acad/sls/publications/conference_proceedings/servant_leadership_roundtable/2003pdf/wong_servant_leadership.pdf. Retrieved 1/6/10.